Read the latest issue of the HUPOST online here. ECR MANUSCRIPT COMPETITION – Finalists announced! We are pleased to announce the three finalists of the Early Career Researcher (ECR) Manuscript Competition. The winner of the competition will be determined during the ECR Manuscript Competition session at HUPO 2016 in Taipei. The session takes place on September 21, from 09:30-10:15, in Room 102. 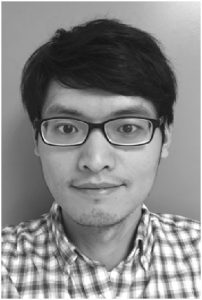 Cheng-Kang Chiang is currently pursuing his postdoctoral training under Dr. Figeys supervision at University of Ottawa, Ottawa Institute of Systems Biology (OISB), Canada. He obtained his PhD from the Department of Chemistry, National Taiwan University with Dr. Huan-Tsung Chang. 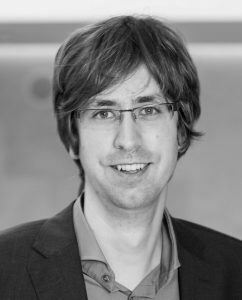 His current research interests include using quantitative mass spectrometric methodology to characterize and understand the cellular mechanisms of the circadian clock underlying environmental factors in metabolic processes, as well as deciphering key regulators between gut microbiota and host proteome at the mucosa-luminal interface of new-onset pediatric IBD patients. The aim of this study was to elucidate the effect of chronic low-dose-rate radiation exposure (1 mGy/day or 20 mGy/day – corresponding to doses of daily computed tomography (CT) scans) given over 300 days on the murine Apoe-/- hippocampus. Marked alteration in the phosphoproteome was found at both dose rates whereas changes in the unmodified and sialylated N-linked glycoproteins were scarce. The phosphoproteins were associated with control of synaptic plasticity, calcium-dependent signalling and brain metabolism. A reduced memory-related CREB signalling was found at both dose rates whereas synaptic morphology-related Rac1-Cofilin signalling was altered only at the lower dose rate. Adult neurogenesis, investigated by Ki67, GFAP and NeuN staining, and cell death (activated caspase-3) were not influenced at any dose or dose rate. This study shows that several molecular targets induced by chronic low-dose-rate radiation overlap with those of Alzheimer´s pathology that may suggest it as a contributing risk factor to this neurodegenerative disease. I am a bioinformatics researcher interested in high-throughput technologies that allow us to study the molecular phenotype of a biological system comprehensively. I have worked on theoretical questions in targeted proteomics, contributed to the development of SWATH-MS and wrote the first software capable of targeted analysis of SWATH-MS data in high throughput. I studied at ETH Zurich, Switzerland, worked with Ruedi Aebersold during my PhD and I am now working with Mike Snyder at Stanford University to apply mass spectrometry in a personalized medicine context. The hPOP (Human Personalized Omics Profiling) project is designed to study the variance of molecular markers across a large number of participants. Recent advances in high throughput technologies allow profiling of thousands of analytes within a single experiment. These measurements could potentially be used to diagnose disease early, monitor treatment progression and stratify patient groups to ensure each individual obtains the treatment best suited to their needs. This personalized approach to medicine would include continuous monitoring of thousands of parameters over a whole lifetime. However, in order to be able to interpret such data, we need to have a better understanding of the underlying natural variation of these molecular parameters in health and disease. Only if we know the natural ranges of individual analytes, the expected responses to perturbations and the long-term trends in their levels, can we draw meaningful conclusions from comprehensive personalized profiling. In this project, we aim to use a multi-omics approach to study the genome, epigenome, transcriptome, proteome and metabolome of a large number of healthy volunteers. The hPOP project will be launched officially at the 2016 HUPO in Taipei where samples from several hundred people will be collected. The current protocol includes sampling of blood, urine and stool after overnight fasting. Additionally, a detailed questionnaire about food habits, personal health, physical activity and stress levels will be filled out by each participant. All data will be made available to the scientific community under public domain which will allow multiple research groups to use the generated data in their own studies and perform their own analysis of the data. Mike Snyder’s lab at Stanford is leading the hPOP project. Please contact Sara Ahadi at sahadi(at)stanford.edu if you have any questions. We are pleased to congratulate the winners of the 2016 HPP Clinical Scientist Travel Grants! http://authors.elsevier.com/a/1TSJnL7PXN3iC – for free access until Sept 19, 2016. In this remarkable work, the authors describe how the SRMAtlas provides definitive verified high-resolution spectra and multiplexed SRM assay coordinates and chromatographic peaks that identify 166,174 proteotypic peptides providing multiple, independent assays to quantify any human protein and numerous spliced variants, non-synonymous mutations, and post-translational modifications. SRMAtlas data are freely accessible as a resource at http://www.srmatlas.org/ and the paper demonstrates the SRMAtlas’ utility by examining protein network responses to (i) inhibition of cholesterol synthesis, and (ii) docetaxel sensitivity. HUPO applauds the SRMAtlas triumph as this supports proteome-wide quantification, as well as novel biology and disease hypothesis-driven research. The SRMAtlas demonstrates that the road to understanding the complete Human Proteome is progressing full-steam ahead, despite a few intricacies, challenges and blind alleys. 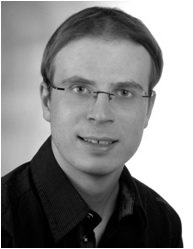 HUPO forecasts the completion of the Human Proteome Project (HPP) requires: (i) high-quality, publicly available evidence for every expressed protein from the human genome; (ii) analyses of the various forms these proteins take; (iii) spatiotemporal cellular and tissue localization; (iv) protein interaction and structural biology data; (v) an understanding of the biology of proteins and their many isoforms; and (vi) detailed information about their quantitation and roles in human wellness and disease. This journey must be based upon freely accessible resources containing high-quality, communally-verified “big data”, so that we can navigate the proteome’s complexity. Revised 2016 Human Proteome Project metrics and guidelines are anticipated to be released soon. July 11, 2016 — In the spirit of collaboration inspired by the Vice President’s Cancer Moonshot, the U.S. Department of Veterans Affairs (VA), the U.S. Department of Defense (DoD), and the U.S. National Cancer Institute (NCI) are proud to announce a new tri-agency coalition that will help cancer patients by enabling their oncologists to more rapidly and accurately identify effective drugs to treat cancer based on a patient’s unique proteogenomic profile. The APOLLO Network — Applied Proteogenomics Organizational Learning and Outcomes — will look at both a patient’s genes (genomic analysis) and the expression of these genes in the form of proteins (proteomic analysis) to create the nation’s first system in which cancer patients are routinely screened for genomic abnormalities and proteomic information to match their tumor types to targeted therapies. Initially, APOLLO is focusing on a combined cohort of 8,000 cancer patients within the nation’s two largest healthcare systems — the VA and DoD — with the aim of expanding the program to additional cancer types and making findings available to physicians across the country. APOLLO is starting with lung cancer to address the pressing need of treating a form of cancer that is pervasive and prevalent among about veterans and service members. Approximately 8,000 veterans are diagnosed with lung cancer each year in the VA’s Veterans Health System alone. The collaboration brings together the scientific and technical capabilities and facilities in DoD’s Murtha Cancer Center, the VA’s Veterans Health System, and the NCI’s Clinical Proteomic Tumor Analysis Consortium. Spurred by the NCI, genomics has launched a revolution in precision oncology by identifying targetable mutations in cancers. Unfortunately, there is still key missing biology when trying to reliably predict which patients’ tumors respond to any given therapy. This is likely because molecular drivers of cancer are derived not just from DNA, but also from proteins. Knowing more about a patient’s proteins should enable us to better predict how cancer will respond to a specific, targeted chemotherapy or combination therapy. A critical next step in the evolution of precision oncology is to continue to study what we are just learning in proteogenomics to identify the protein pathways and gene mutations in a tumor that drive cancer growth that can be vital to selecting targeted therapies more precisely. This is an exciting time for the field of proteogenomics. APOLLO Network will provide insight on the success of moving into the field of proteogenomics as a meaningful way to treat lung cancer patients with the promise of being able to quickly extend into other cancer types if proven to be successful. 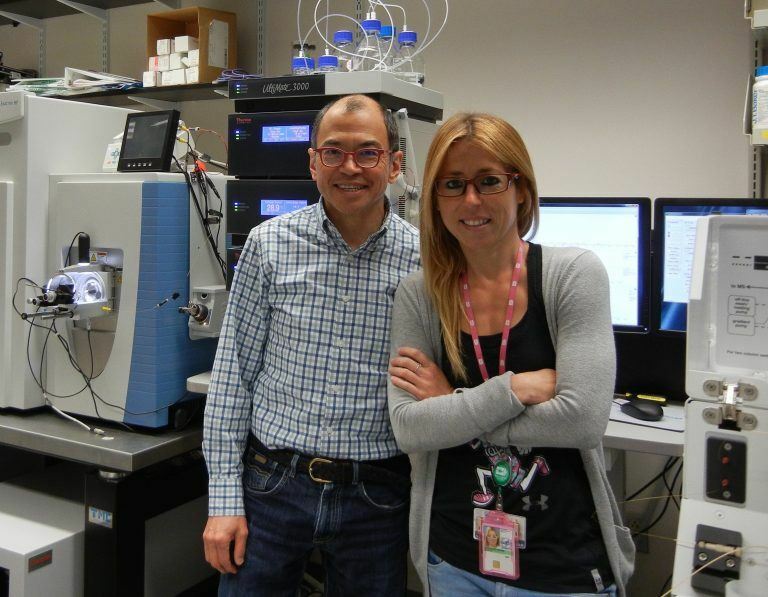 Interview conducted by Marta González-Freire, Ph.D., Visiting Fellow, National Institute on Aging, and early career scientist working on skeletal muscle proteomics with Dr. Luigi Ferrucci, Scientific Director of the National Institute on Aging. González-Freire: You have been a faculty member at the Johns Hopkins School of Medicine for your entire career. Your lab group was mostly focused on nutrition and immunology but you recently made a mid-career transition to proteomics and metabolomics. What happened? SEMBA: My lab was doing conventional immunology and nutritional biochemistry using conventional platforms such as ELISA, HPLC, and atomic absorption spectrometry. I would call this “normal science”, which by nature, is largely corroborative. The research was mostly validation of single biomarkers in large study cohorts of older adults. I became restless. Normal science offered little in terms of discovery and generating new hypotheses. Recent advances in proteomics, metabolomics, and mass spectrometry certainly caught my attention. González-Freire: How did you get started in proteomics? SEMBA: Your mentor, Dr. Ferrucci, introduced me to Jennifer Van Eyk. He urged me to try something different. I soon found myself back at the bench in Jenny’s lab to learn sample preparation for proteomics. Jenny’s enthusiasm, teaching, and guidance were a life-changing experience. She recommended that I take the intensive summer course in proteomics at Cold Spring Harbor Laboratories. This influential course, run by Ileana Cristea and her colleagues, has launched the careers of many scientists in proteomics. And now Ileana has become a dear friend and collaborator. González-Freire: Did the promise of the field meet your expectations? SEMBA: Wow, maybe way beyond my expectations. González-Freire: Were there any surprises? SEMBA: Dealing with the sheer amount of data is a daunting challenge. The buzz in the field seems to center around detecting more and more proteins, but making sense of the biology compels one to read hundreds of papers. That is the bottleneck of the process. González-Freire: I notice your research interests include eye research, aging, nutrition in developing countries, and history of medicine. How did you end up working so broadly? SEMBA: I have academic attention deficit syndrome [laughing]. Somehow it all seems related to me. After my residency in ophthalmology, I worked in Indonesia on vitamin A deficiency, the leading cause of blindness in children. That links eye research with nutrition. Then I got interested in the relationship of micronutrient malnutrition with HIV/AIDS, so I worked many years in Malawi and Uganda doing clinical trials. In the meantime, I built up a nutritional biochemistry lab at Hopkins. I wanted to do more hypothesis-generating work, so I closed my work in Africa and started working on aging. The history of medicine relates to everything. I think scientists working in proteomics need to know J. J. Thomson, Francis Aston, and Dorothy Hodgkin. González-Freire: What are your big projects right now? SEMBA: We are using selected reaction monitoring (SRM) to characterize the relationship of the systemic complement pathway with age-related macular degeneration. Another application of SRM is to understand circulating proteoforms that are purportedly associated with aging, such as GDF8 and GDF11 and their circulating inhibitors. SRM should clarify the issue, since antibody and aptamer-based studies have yielded conflicting data. González-Freire: How do you think proteomics and metabolomics can contribute to global health? SEMBA: The work we just did on essential amino acids and child stunting overturned the widespread belief that children in developing countries receive adequate dietary protein. Children need quality protein in their diet, such as animal source foods. These results are already having an impact on approaches to child malnutrition. González-Freire: How do you think we can use proteomics to understand aging? SEMBA: Your GESTALT project at the National Institute on Aging is really important. You and Luigi are characterizing normative data on the proteome of many tissues, including skeletal muscle, across a wide age range of healthy individuals. This study will likely become the benchmark for proteomics in aging research. González-Freire: Who have been the most influential people in your career? SEMBA: The evolutionary biologist Charles Sibley played an important role in forming my own perspective on science. He had an ambitious project to construct the global phylogeny of birds using DNA. I worked for him as an undergraduate, helping him prepare a book. Then he sent me out to do fieldwork for a year in the Amazon in Peru and in the rainforests of Borneo – it was a rare experience. Our field team discovered three new species of birds to science: a hummingbird, a flycatcher, and a new genus of owl. The other influential scientist was Linda Fried, the expert on frailty and aging. We worked together for several years until she left to become dean at Columbia. González-Freire: What do you view as the ideal laboratory? SEMBA: Perhaps there is no such thing as the ideal laboratory. It depends on what you want to accomplish. My main focus is on the research, as I don’t have a large training program with dozens of graduate students and post-docs. I think clearly delineated research goals, a realistic lab schedule, clear communication, emphasis on papers and productivity, and investment in the career development of the people in your lab are paramount. González-Freire: What do you do to relax? SEMBA: I enjoy cooking for my friends. Food is sharing, sensory, symbolic, rich in social meaning, and forms the bond and social glue of our existence. I enjoy sharing meals and my cooking with friends from all walks of life. I swim about an hour every day. One of my biggest joys is classical piano. My favorites are Bach, Mozart, and Brahms. González-Freire: What kind of advice would you give to younger scientists that are forming their careers? SEMBA: Develop writing skills, a love of writing, and set ambitious goals to write and publish as many papers as possible. No paper is ever perfect, so don’t let perceived imperfection slow you down. Don’t procrastinate. Communicate clearly with your colleagues and mentors. Be responsive. Understand the history of your subject, as scientific disciplines and topics have their own trajectories. Luckily for you, the fields of proteomics and metabolomics are on the ascending trajectory, which promises a stimulating and productive career ahead of you. While proteins are widely recognized as playing key roles in nearly all processes in living organisms, an odd debate arose about the role of protein in the diet of malnourished children in developing countries. Stunting affects about one-quarter of children under five years of age worldwide; the World Health Organization estimates that 156 million children were stunted in 2015, nearly all of whom live in low-income countries. Stunted growth is closely linked with impaired brain and organ growth and higher risks for obesity, diabetes and other chronic diseases later in adulthood. In the 1950s and 1960s, protein-rich food mixtures were the main focus of study as a treatment for malnutrition in children in developing countries. In 1974, a paper “The Great Protein Fiasco” published in The Lancet cast doubt upon the central role of protein in childhood malnutrition. The focus in the international nutrition community shifted from proteins to micronutrient malnutrition, that is, lack of vitamins and minerals for the following four decades. A recent study of essential amino acids and child stunting challenged the widespread belief that children in developing countries receive adequate dietary protein. The work led by Richard Semba from Johns Hopkins University was published in the April 2016 issue of the journal EBioMedicine. Semba and colleagues applied a targeted MRM-mass spectrometry-based metabolomics approach to measure serum levels of amino acids, as well as other essential compounds including glycerophospholipids, sphingolipids and other metabolites in blood samples from a community-based study of more than 300 children ages 1 to 5 years, more than 60 percent of whom had stunted growth, from six villages in rural southern Malawi. Participants’ height and weight were recorded by trained field workers. The main finding is that children with stunting had lower serum concentrations of all nine essential amino acids (tryptophan, isoleucine, leucine, valine, methionine, threonine, histidine, phenylalanine, lysine) compared with nonstunted children. In addition, stunted children had 10 to 40 percent lower concentrations of other nutritional markers, such as conditionally essential amino acids (arginine, glycine, glutamine), nonessential amino acids (asparagine, glutamate, serine) and six different sphingolipids, which are essential ingredients for development of the brain. Stunting was also associated with alterations in serum glycerophospholipid concentrations. Essential amino acids cannot be synthesized by the body. The richest sources of essential amino acids are animal-source foods, such as milk, eggs, and meat, and also soybeans. This study suggested that children need quality protein in their diet for normal growth. These results are stimulating new recommendations and approaches to child malnutrition. Semba and his colleagues hope that this research will prompt a broader discussion on how to address child malnutrition. “Providing high-quality protein with sufficient levels of essential amino acids in developing countries will be a major challenge and will require substantial investment in the agricultural sector,” says Semba (quoted from press release of John Hopkins University, February 23, 2016). This study challenges a long held paradigm about dietary protein for children in developing countries. Future studies are needed to address how lack of essential amino acids affects biological pathways and contributes to the pathogenesis of child stunting. Let’s look forwards to more discoveries from the proteomic community. 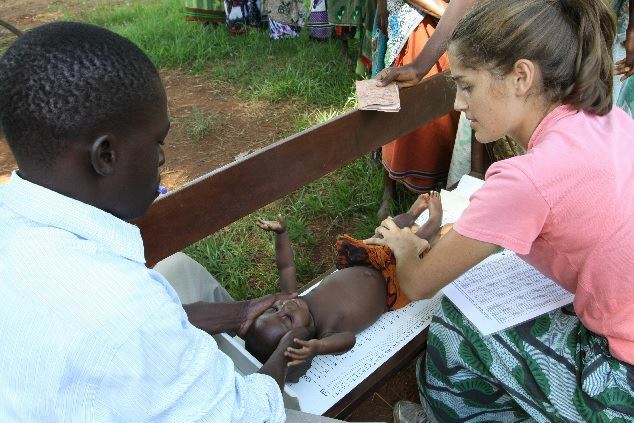 Dr. Lacey LaGrone and Malawi health workers measuring the length of a child at a rural health center. The Nominations and Elections Committee of the Human Proteome Organization is pleased to announce the official slate of candidates for the HUPO Board of Directions (HUPO Council) election. HUPO wishes to express thanks to those candidates who are willing to stand for council election for a three-year term beginning in 2017 (2017-2019). The election period for HUPO Council is August 26-September 18. Again this year, the vote is conducted online. All active HUPO members will receive an email containing a secure election ID code. Electors simply click on the link provided and cast their anonymous votes. Election IDs will be emailed to all active HUPO members on August 25, 2016. If you join as a member after this date you will given an election ID. The Human Proteome Organization presents a number of distinguished awards annually at the World Congress. HUPO gratefully acknowledges the support of the Industrial Advisory Board, the Journal of Proteome Research (ACS Publications), and Elsevier as sponsors of three of these awards. The HUPO Executive Committee and the Awards Committee would like to thank all those who submitted nominations for the 2016 awards. It is with great enthusiasm that we present the 2016 HUPO Award Winners! Please join us in congratulating these outstanding scientists on their accomplishments and contributions to the field of proteomics. The awards will be presented at HUPO 2016 in Taipei and the winners will present a talk during the congress award session.